We have carved out a position in manufacturing, exporting and supplying the best quality Maheshwari Silk Suits. We are known in the market for offering a quality assured collection of Maheshwari Silk Suits. 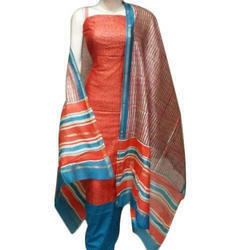 The given Maheshwari Silk Suits is provided in customized options as per the requirements comes from our customers. 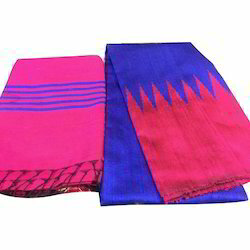 Unique zari handloom dupatta paired with Maheshwari handloom silk cotton fabric .. Skin friendly in nature, these Designer Maheshwar Silk Suit are presented in the market in complete safe packing to keep away from scratches and stains. Light in weight, these silk suits are easy to wear and tear resistant in texture. Excellent finishing is embedded to these silk suits to let users have best products.